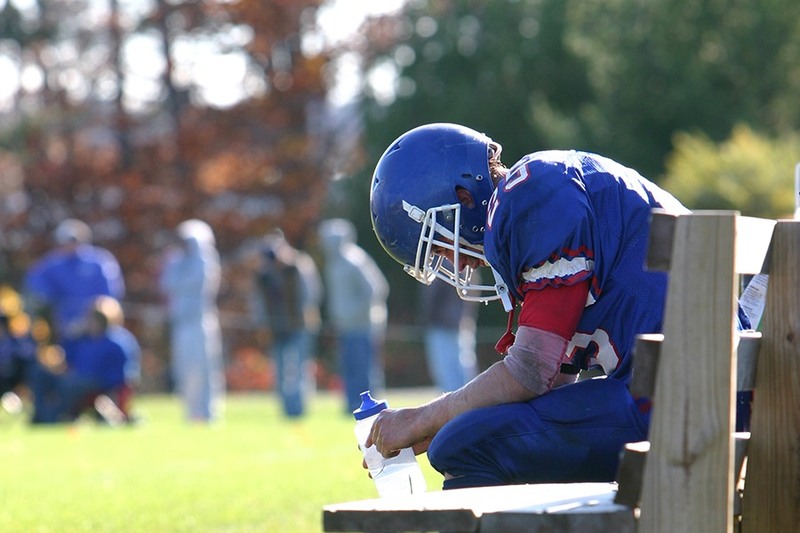 As the sports season reaches its peak and the temperatures begin to fall, you might begin to notice your child’s shortness of breath during or after a game. While sometimes, a little water and a brief pause in the action can help, it could be a sign of a larger problem. If your child has experienced shortness of breath, difficulty keeping up with their teammates and poor stamina, you should seek the advice of an allergist. They could be suffering from EIA. Exercise-induced airway constriction (EIA) is caused by the loss of heat, water or both from the lungs during exercise. It’s a result of quickly breathing in air that is drier than what’s already in your body. Although 10 percent of the general population suffers from exercise-induced airway constriction, it’s most commonly found in athletes. Symptoms include shortness of breath, cough, chest tightness, wheezing, upset stomach and a sore throat, usually occurring within 6 to 10 minutes of beginning exercise and peaking 8 to 15 minutes after the exercise has finished. It’s a short attack, usually ending within 60 minutes. The best way to determine if your child is suffering from EIA is to seek advice from an allergist. They’ll determine whether the symptoms are caused only from exercise or a reaction to allergens in the air. They’ll dig into their daily physical activities to decide the best plan of treatment, based on how often your child has attacks. As the weather gets colder, symptoms may increase or worsen so it’s best to seek medical advice sooner rather than later. Thankfully, you can treat EIA. The experts at Allergy & Asthma Specialists can assess your child’s breathing by performing an exercise challenge procedure where patients are monitored while they run. During the test, the patient is asked to breath into a tube connected to a spirometer, a tool used to measure the volume of air being inhaled and exhaled. The physicians will also conduct a pulmonary function test to gauge lung health. Once diagnosed, they’ll prescribe medication or breathing strategies to lessen symptoms. What are some ways to relieve symptoms? Doctors recommend sticking to a 15-minute warm-up before beginning any physical activity. It’s also important to breathe through the nose during exercise, so the air can be warmed before it reaches the lungs. If you think your child might be suffering from EIA, schedule a consultation today at an Allergy & Asthma Specialists location near you, call 1-800-86COUGH, extension 2 or visit their website. Offices are located in Center City Philadelphia, King of Prussia, Blue Bell, Jenkintown, Doylestown, Lansdale, Collegeville and Pottstown. SPONSOR CONTENT	Could Mold Be Ruining Your Vacation?